Choose an annual or monthly membership, depending on what works best for your budget. Larger organizations can sign up for a corporate membership and add up to ten users from the same domain and organization (not intended for franchises or others who are separate entities using a common domain name). During the month of October, we will donate $99 to to a special scholarship program to encourage women to get into technical fields. The Women in IT scholarship program will reimburse the exam fee for women who successfully pass an IT or DEV certification exam. We believe in Community and want to support these great causes! Just because you’re in business for yourself doesn’t mean you have to go it alone. LOTS of content has already been added. More will be added every week. In addition, we have live community discussion forums and live events. The first Mini-Course on marketing has already been scheduled. We have a few audio books, several classes, and several presentations loaded into the Audio category already. More will be added every month. 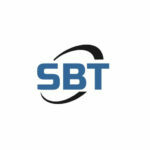 Every month we will host a live “Mini Class” on the SBT Community. The August class is on tuning up your LinkedIn profile. The class is already posted and you can register as soon as you join! There will be at least one new class every month. If you join before August 31st, you’ll be a Founding Member. We are working to add Badges to the site, so you will always be designated as a Founding Member. We will also have badges of completing classes and other activities. Coming Soon! Right now we have new content scheduled through the first quarter of 2019. We will be adding new content all the time – eventually to include all of Karl Palachuk’s HOT books on Managed Services and more. Several white papers have been added. It will probably take you at least a month to read through what we’ve posted so far. But fear not! More will be added every month. Keep checking for new content. Our Community Leaders have started posting to the Community Forums and several members are already engaged in conversations. We believe this feature will be one of the most popular aspects of the Small Biz Thoughts Community. Join in! Note: There is a commitment of 12 months in order to receive this special pricing.